Immigrant Visa Applicants (Consular Processing): Individuals with priority dates earlier than the date listed on the “Filing Date” chart for their preference category and country of chargeability will be notified by the National Visa Center that they may assemble and submit their documentation and begin the immigrant visa application process. However, a final decision on the immigrant visa application cannot take place until the priority date is current (i.e., is earlier than the “Final Action Date”). Adjustment of Status Applicants: Individuals who are in the United States and are eligible for adjustment of status must use the “Final Action Date” chart to determine when they may submit their applications for adjustment of status, unless the Visa Bulletin indicates that they may instead use the “Filing Date” chart. The early “Filing Date” chart may only be used by adjustment applicants if USCIS determines there are sufficient immigrant visas available to support the filing of additional adjustment applications beyond that which would be received under the “Final Action Date” chart. 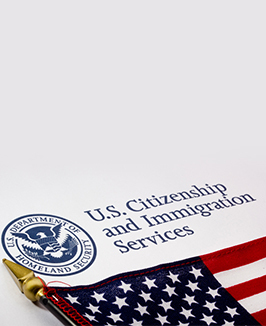 The October 2015 Visa Bulletin permits both family- and employment-based immigrants to use the “Filing Date” chart to file adjustment of status applications with USCIS for the month of October. Thus, individuals who have a priority date earlier than the “Filing Date” cut-off for the month of October may submit an adjustment of status application in October. These individuals will also be able to obtain employment authorization and advance parole as an adjustment applicant. However, please note that there is no guarantee that adjustment applicants will be able to benefit from the earlier “Filing Date” chart in any given month moving forward. The “Filing Date” for most of the family-based categories is less than 1 year and up to around 2 years earlier than the “Final Action Date,” with the exception of F-1 Philippines with a difference of 4+ years, and F-3 Mexico with a difference of 2+ years.